Today’s Ted Talk featured Usman Riaz, a percussion guitarist from Pakistan. The 21-year old whizkid learned how to play guitar by watching his heroes on YouTube. In this Ted Talk, Riaz played a song followed by an improv jam session with guitar legend Preston Reed. Riaz has also been featured on NPR’s Tiny Desk Concert Series, which can be found here. Over the summer, our middle schoolers were given the opportunity to show us the activities they did along with their summer reading books. You can see all the cool stuff they did here. Everyone who participated in these activities was entered into our prize raffle. 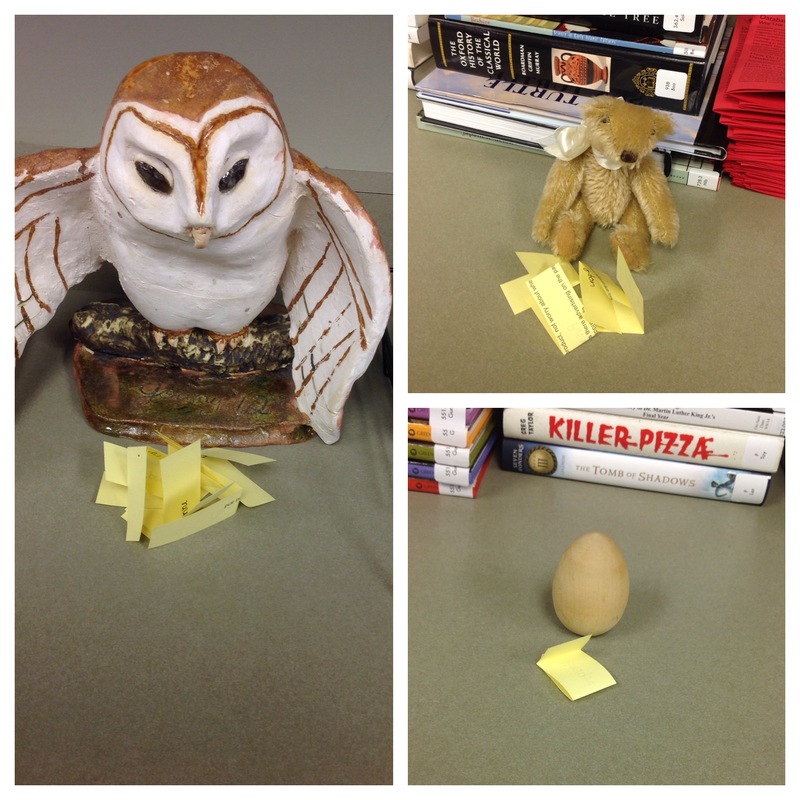 With the help of a couple of our library pals, we picked our lucky winners. 7th Grade: Clayton T., Briana D.
6th Grade: Tyler W., Lilianne B., Emma F., Meg C.
For our first book club of the year, we had a whopping 17 students and 5 faculty members in attendance! We’re thinking the free brownies and lemonade might’ve had something to do with it, but the book discussions were also top-notch. The overarching theme of the books everyone read over summer leaned more towards the dystopian side of things. Jaspreet was particularly fond of the book The Dead and the Gone, which he declared did not have any “xylophones in it.” To clarify: Jaspreet has said the word “zombie” a few too many times here in the library and it was decided that he was no longer allowed to say the word “zombie,” lest he pay a $10 swear-jar fee. Thus the code word “xylophone” was born. 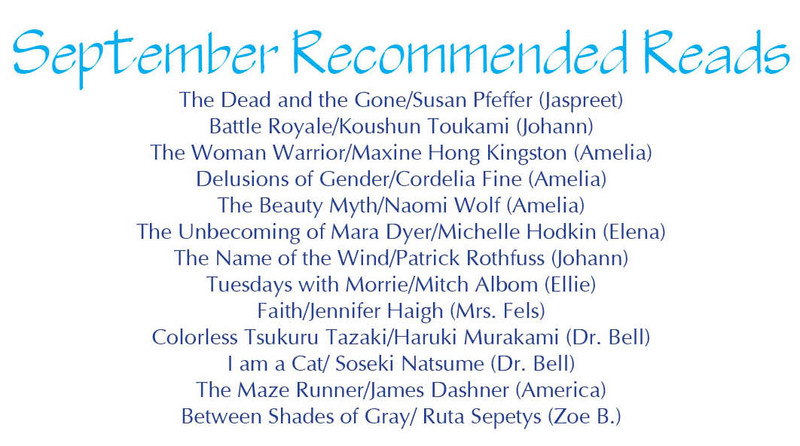 We had some other great summer reading discussions, from The Maze Runner to The Name of the Wind. Dr. Bell led a discussion about Haruki Murakami’s newest novel, Colorless Tsukura Tazaki and His Years of Pilgrimage. This led us towards a conversation about talking cats. Ms. Fels insists she does not want to know what a cat thinks. Your narrator agrees. For a complete list and description of books we recommended and discussed during this and previous book clubs, check out our Goodreads list here.